During the concept development and testing phase, prototypes and test systems typically require electronic components which have been specifically developed and manufactured. This generates high costs, while the time required delays product launch. The costly initial phase also rules out a rapid response to changes at short notice. This is a serious disadvantage, particularly for the fast-paced automotive industry. To accelerate this step in the process while simultaneously creating space for the flexibility required, the development service provider ARRK Engineering has chosen a different path. It created numerous use cases to identify frequently requested functions and develop the relevant components for a modular control device concept, the Build Rapid System (BuildRS). This means that it is now possible to create measuring and control systems for a wide variety of applications much faster and more affordably than ever before: the components with the functionality required must only be taken from and combined with a pool of existing hardware and software components. 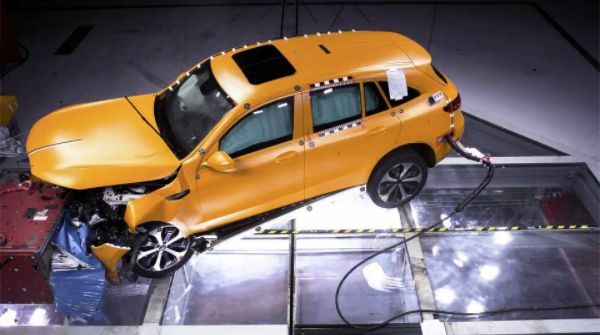 “For many years, we have supported automobile manufacturers and suppliers as their strategic development partner,” explains Zarko Tomic, team leader for software development at ARRK Engineering. Control units for measuring instruments and test systems are created within a very short time and at low cost. One example is a treadle measuring device for determining treadle stroke and force. Generally, special control devices are developed specifically for these cases – leading to high time and cost requirements due to the low quantity required. Alternatively, teams may resort to universal control devices which are usually oversized for the specific application. Both extend development times and costs, which is a disadvantage in view of the fast pace of the automotive industry. “We began from this starting point: instead of repeatedly developing new control units for test devices and prototypes which can only be used for single projects, we wanted to specify components – like Lego bricks – which can be assembled in a few, easy steps, to create a unique and freely adaptable control device for the relevant application,” continues Tomic. ARRK Engineering developed the underlying hardware kit and software in-house. “This was necessary because comparable systems on the market were either too large and cost-intensive for our purposes or were targeted at electronics hobbyists. As a consequence, they were inefficient and unstable,” explains Tomic. Furthermore, it was not possible to directly integrate these models into the software, leaving ARRK Engineering unable to perform any comprehensive changes. While developing the new control device concept, ARRK Engineering chose an approach as systematic as possible. “After the platform concept was established, a new component for our modular control device platform was developed for all subsequent projects,” Tomic recalls. Thus, in the course of the past year, the idea has given rise to a comprehensive modular system – which has continued to grow. Meanwhile, ARRK Engineering can refer to a pool of functions for different possible applications, such as digital or analog inputs and outputs, engine control and Bluetooth or wireless transmission, and numerous supported bus systems. The system, which ARRK Engineering has named BuildRS, consists of two circuit boards: the controller board connects to other devices via CAN and forms the starting point for the unit, while the peripheral unit specifies the actual function of the control device. There are two options for fitting the boards together: they can be arranged next to each other for easier access to all components, or stacked neatly on top of one another to make the system less vulnerable to external influences. Depending on customer requirements, connections other than CAN are possible, by means of an additional module, such as LIN, Bluetooth or wireless network. The software architecture for the BuildRS platform is also modular. “The software and hardware have a constantly growing portfolio of possible functions which correspond to the functionality of the peripheral board,” explains Tomic. The system can be configured or reprogrammed via the CAN interface. This implies that, in the event of a function change, often only software reconfiguration is required and there is no need for complete reprogramming. As this is a matter of in-house development by ARRK Engineering, the company has full access to the source code. It is therefore possible for both hardware and software to be adapted to customer requirements quickly and effectively at any time, ensuring that hardware is utilized to its full potential. BuildRS offers a wide range of possible applications relating to concept development and testing. In this way, the modules can, for example, support the electrification of individual prototypes. “For instance, BuildRS was used in a seat box for seat adjustment – as a motor driver and for digital signal transmission,” says Tomic. The durability of the modules is a great advantage here: they can be stacked or built into a housing and used for years to come. This also makes them suitable as long-term test subjects or demonstration samples, such as for fairs. They can also be used for small batches or test devices. “One example of this is a treadle measuring device which we developed for the automotive industry,” Tomic explains. 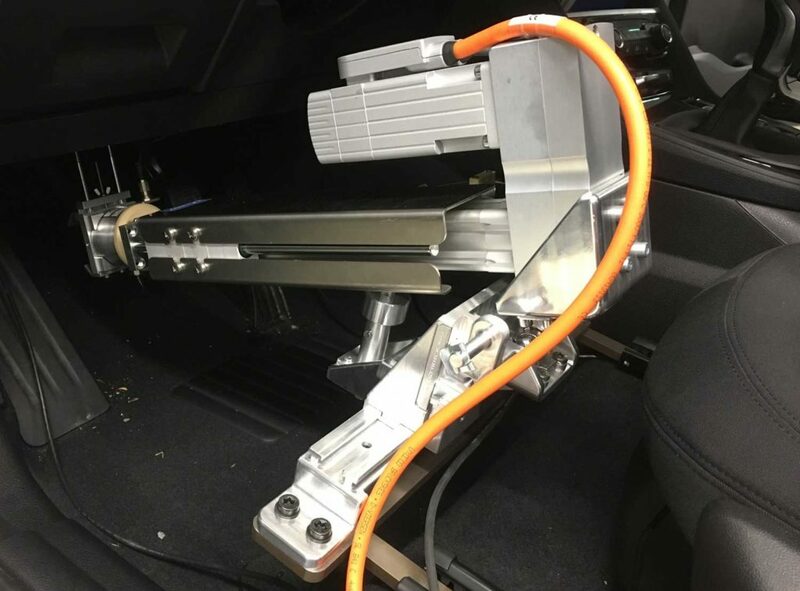 The aim of this testing device is to both measure and analyze treadle stroke and force, such as for brake pedals, clutch pedals and gas pedals. One module assumes the task of managing the values on both sensors, translating these into digital signals and transmitting them for further processing. A second module is part of the remote control which enables the system to be controlled from a distance. But the BuildRS also offers advantages for budget and time planning as part of workstations during concept testing because, unlike in other cases, it is not necessary to develop a new control device. At the same time, it can be more freely adjusted by the customer, unlike standard units, giving them the option of using the BuildRS multiple times. Since the individual peripheral boards are replaceable and can be switched easily, it is quick and relatively affordable to purchase new functions. The new board can be started up via the CAN connection using the modular basic software which is installed in the controller board. In this way, the user is able to independently adjust the function of the control unit and integrate it into the workstation. “BuildRS can be used for all types of prototypes and small batches. This enables development costs to be drastically reduced per terminal,” concludes Tomic.